Ace Computers will be showcasing its powerful servers integrated with leading-edge technology at Supercomputing 2017 (SC17)in Denver. CHICAGO, ILL. , UNITED STATES, October 31, 2017 /EINPresswire.com/ — Ace Computers will be showcasing its powerful servers integrated with leading-edge technology at Supercomputing 2017 (SC17) Nov. 13-16 at the Colorado Convention Center in Denver. The annual Supercomputing event is considered the premier venue for the world’s top HPC cluster and high-end workstation builders, resellers, and associated product vendors and service providers. The 2017 HPCwire Readers’ Choice Award winners will be announced at SC17. Ace Computers is a finalist in the category: Best HPC Server Product or Technology. 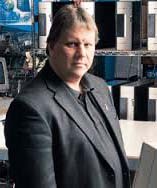 Ace Computers was one of the first companies in the world to build workstations designed and configured specifically for forensics and now they are a leader in this market. 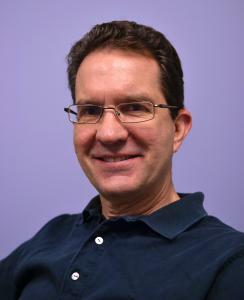 Company CEO John Samborski is a recognized forensic workstation expert. Ace Computers is also a finalist in the category Best AI Product or Technology for developing and building HPC clusters for a major U.S. research institution with a significant footprint in Deep Learning. The institution is conducting robotics and computational perception research. NEWTON, MA, UNITED STATES, October 31, 2017 /EINPresswire.com/ — Newton, MA — October X, 2017 — Centerity Systems Inc., the leading provider of unified IT & IoT performance analytics and business service management solutions, today announced that it supports Kubernetes, the most widely-used, open-source container management system. Centerity’s support for Kubernetes enables enterprises to safeguard the performance and service levels (SLA) of business processes and workflows that utilize application containers, which are often spread across clusters of hosts. Enterprises that adopt the use of containers for critical business processes need the ability to identify adverse effects on the performance and reliability of those processes. Centerity’s automated topology and dependency mapping recognizes problems in other IT layers/components that may have a cause-effect impact on the container application, either upstream or downstream from the container, which is critical information for improving service levels and CSAT. Compared to traditional IT and Operations Management/ Analytics tools (ITOM/ITOA), Centerity reduces the number of false positives (false alarms) that distract system administrators resulting in more focused efforts where it matters most, at the source of the problem. One customer has estimated that Centerity has reduced MTTR by as much as 80%. Centerity’s solutions help companies identify IT and IoT/IIoT system dependencies that act as performance bottlenecks, and to reduce the variation (increase consistency) in how performance problems are addressed. In this way Centerity, paired with Kubernetes, is a critical component of lean and six-sigma (LSS) initiatives and plays a critical role in ensuring profitability. Centerity’s award winning software provides a unified enterprise-class IT performance analytics platform that improves performance and reliability of business services to ensure availability of critical systems. 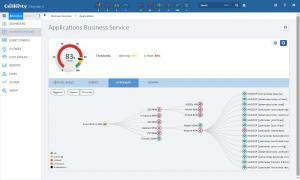 By delivering a consolidated view across all layers of the technology stack including, applications, Big Data, operating systems, database, storage, compute, security, networking, Cloud, Edge, and IoT/IIoT devices, Centerity provides an early warning of performance issues along with corrective action tools to quickly isolate faults and identify root causes. SAN JOSE, CALIFORNIA, USA, October 31, 2017 /EINPresswire.com/ — CriticalBlue, provider of the award winning Approov mobile API protection solution, today announced the successful deployment of Approov within the Nimses social media platform. Fast growing mobile businesses are an attractive target for bad actors who will attack the rich APIs between mobile apps and enterprises’ backends to attempt exploits such as scraping of competitive data, fake account onboarding, fraud, DDoS and account takeover. Time and again, basic encryption and embedded secrets in mobile apps have proven to be insufficient barriers against these automated scripts and hackers. According to Gartner Inc., “API security provides a secure communication channel in order to prevent malicious usage, as well as anti-automation protection against scripted attacks (for example, using bots).”*** The level of protection of their APIs will determine the resilience of an enterprise’s mobile business against external disruption, in particular automated attacks. Approov is able to reliably identify and reject the 10-15% of traffic on mobile APIs which CriticalBlue customers typically report as not coming from genuine and untampered mobile apps. The solution adopts a positive approach by identifying good traffic via a cloud based software authentication service. Unlike existing approaches the security is not dependent on static secrets embedded inside the app but instead uses a dynamic measurement of the app environment at runtime to guarantee its presence and integrity. Coupled with a simple integration and deployment approach, Approov delivers a new level of protection with negligible development or operational overhead. 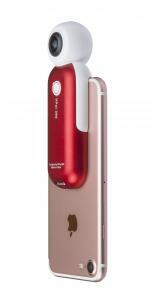 Nimses is a worldwide system which records and saves the time of a human being’s life. After the user registers an account with Nimses, each minute of the person’s life turns into a single Nim, a unique and indestructible unit of digital currency. The total number of Nims produced and gained by one person is accumulated into their individual account balance, called the Nimb. One can manage their personal Nimb through the free, location-based Nimses App. "When the Nimses platform launched, the growth of new users was very rapid, exactly as we hoped. However, this soon attracted automated attacks against our API which threatened to pollute our environment and negatively impact our users’ experience,” commented Andrii Sirchenko, CMO, Nimses. “We wanted a solution that could ensure that we only processed traffic coming from genuine app instances and Approov delivers that. Additionally, the simplicity of integration meant that we went from initial contact with CriticalBlue to a deployed solution in only 8 days." Protecting server digital assets while preserving a frictionless user experience is of vital importance in mobile business. From the server’s perspective, knowing which customer is sending the traffic is important but it can only get the complete picture if it is also known what software is sending the traffic. Approov authenticates that the traffic is coming from the untampered mobile app through the encrypted transmission of short lifetime JWT tokens signed by a secret known only to the backend server and the Approov cloud service. Reverse engineering the mobile app, tampering with it, scripting API traffic generation or employing a man-in-the-middle attack will all result in failed authentication and blocked communication. Recent releases have added detection of rooted/jailbroken devices, use of emulators and the installation of root frameworks. CriticalBlue safeguards revenue generation and security of its customers’ businesses. Patented binary level dynamic analysis technology underpins the delivery of the Approov mobile API protection solution. 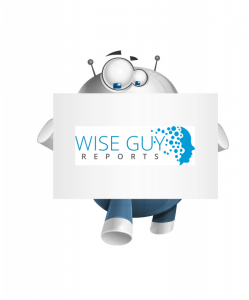 Wiseguyreports.Com Added New Market Research Report On -“IT Services Market 2017 Manufacturers, Applications and Future Demand Forecast to 2022”. WiseGuyReports.Com adds” United States IT Services Market by Manufacturers, States, Type and Application, Forecast to 2022 “Research To Its Database. This report focuses on the IT Services in United States Market, to split the market based on manufacturers, states, type and application.